Pokémon Go obviously isn't much fun if you can't find Pokémon. Unfortunately, some people aren't finding many Pokémon – or any at all. Here are the reasons why it's happening, and some advice on how to fix the problem(s) - our guide to where all the Pokemon are in Pokemon Go! 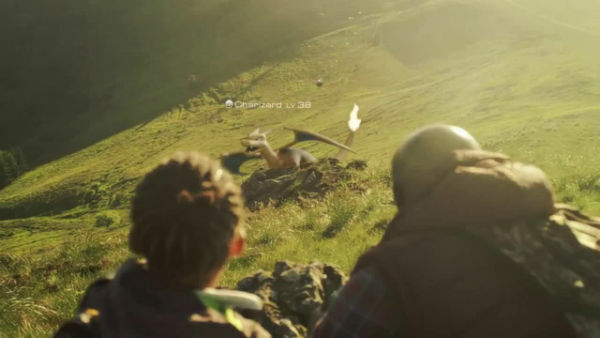 Pokémon GO is much more stable than it was at launch, but it still has plenty of hang-ups. If you can't find any Pokémon, your connection to the game's server may be borked. Try restarting your Wi-Fi connection (or turning it on, if it's off), even if you're not near a Wi-Fi source. Simply having the Wi-Fi on can ease connectivity issues. Try rebooting the app, too. Turn it off completely, then start it again. That often clears up a number of bugs and glitches. Isolation is a common reason for sparse Pokémon levels, and unfortunately it's the hardest problem to tackle. Apparently, Pokémon don't like to be lonely; they want to be where the people are. As a consequence, if you're in a rural area, Pokémon sightings may be few and far between. You don't necessarily need to live in a city to bring the Pokémon to you, though. Any structure with a fairly dense gathering of people will do fine. Apartment buildings are good for Pokémon sightings, as are stores, malls, etc. You'd be surprised how much the Pokémon population shifts once you get outside your comfort zone. If you're tired of seeing the same ol' monsters show up, take a long walk, or go for a drive. New territory brings new Pokémon. Pokémon GO's Pokémon have terrain preferences according to their type. Water types like lakes and rivers, Ground types like open areas, and so on. If you're lucky, you may happen upon a veritable Pokémon swarm if you eke out specific lairs. Check out our guide on how to catch specific Pokémon types for more information. Make the Pokémon come to you! If you’re really struggling to find many Pokemon in the wild, there are a few ways you can make the Pokémon come to you. If you have access to a PokéStop, try adding a Lure to it, which attracts Pokémon for all players in the vicinity. If not, you can always try using an Incense, which achieves a similar effect to Lures but are for your exclusive use. A bonus for being in an area that doesn't spawn Pokémon is that the Pokémon that spawn via Incense and Lures can be literally anything. Usually, the Pokémon that are attracted to these are more likely to be ones you can find locally. Give it a try! Don't forget to hatch eggs! When all else fails, you can always bolster your Pokémon pack by walking and hatching eggs. In fact, no matter where you live, this is probably the best way to secure rare Pokémon – and you get tons of exercise, too! To discover which kinds of Pokémon hatch from eggs, take a look at our egg-hatching guide.